One of the things I want to include in this blog is the occasional "What's Sara Reading?" roundup, where I write up my top 5 or so books that I've read and loved recently. Hopefully that isn't boring for everyone. Anyway, I have so many favorites on my book shelf from this year and last year I decided to start the series with a themed collection. Calling all comediennes! In the past few years I've gravitated toward memoirs. I used to HATE non-fiction and memoirs. I've always been a fiction lover. I am actually very picky with my reading. I do not like fantasy or any kind of science fiction. I prefer stories that I can relate to or stories that are realistic and true to life. I used to be a strict YA reader (even when I was an adult!) but now it varies. Lately though, my tastes have been changing. Now, I love me some funny gal writers who can make fun of themselves and share their amusing interactions and experiences in a book. 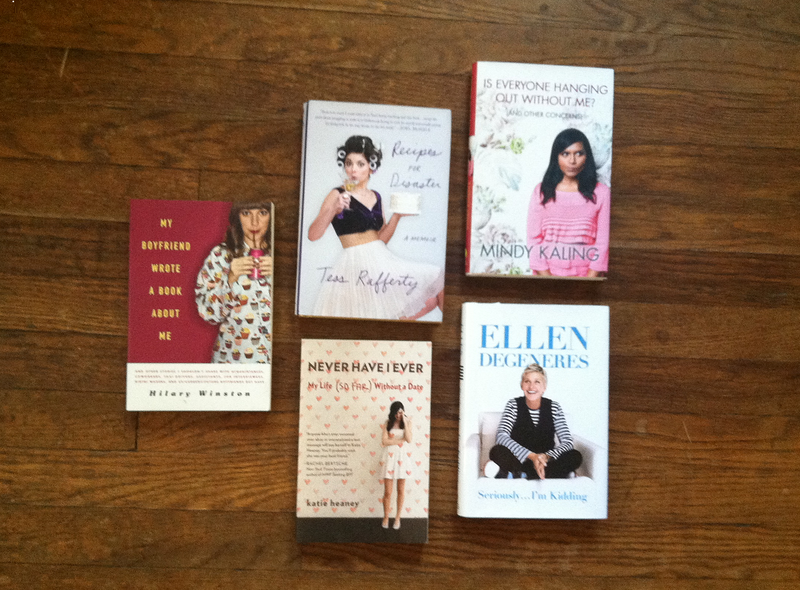 So without further ado, here are my 5 Favorite Funny Gal Titles thus far! 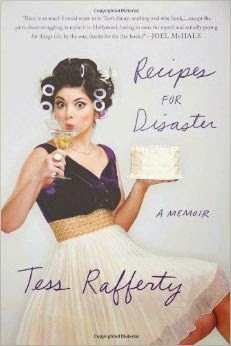 With each chapter set up in a "how to" manner, Tess quickly became so relateable to me. Sure, I can't say I've experienced scenarios she gets herself into (perhaps it's because I think of myself as a pretty darn good cook), but she writes in the same way I imagine she talks - and I would quickly become her best friend if this is so. I mean, in the cover jacket alone she states: "Here's your first ingredint: pour yourself a drink. If you don't drink, you may substitute a cookie." You're talking my language, Tess! It'd be silly not to include Mindy Kaling on my list. I don't know about any of you, but I love her. 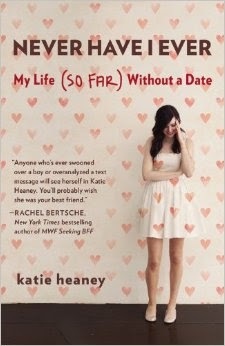 I loved this memoir and I love her show, The Mindy Project. I love that she is herself and nothing else - unapologetically so! I am pretty sure I read her book in a day or two. I loved that she wrote about growing up, awkwardly getting through being a teenager, and making her awkward way into the land of comedy TV. I mean, the girl even includes some spot on embarrassing childhood photos. Gotta give her props for that! OBVIOUSLY Ellen had to be on this list. She's got quite the collection of publications but I have to admit I have only read this one. Before I broke into the 9-5 life and I had retail hours, I'd often spend my afternoon watching her show, loving every minute of it. It was sad to let that go when I started my first office job. These days, when I work from home, I usually put her show on but it's just not the same anymore. 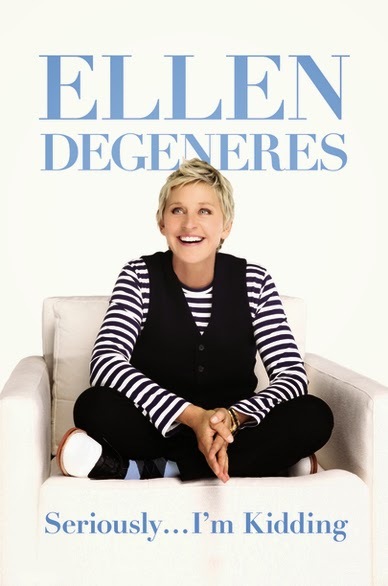 Still, I really do love and appreciate Ellen. Love her or hate her, she knows what she's doing and she does it well. Same goes for this book. Easy read, funny read, GOOD read. The most memorable piece from this book is the fact that at some point near the end, Hilary provides her email address and requests her readers to give her insight on why she finds herself in the bath so often in her storytelling. I found this to be HILARIOUS and you bet I emailed! She never emailed back but I didn't really expect her to...or did I? Either way, Hilary's epic retelling of how an ex actually did write a book that included her in had me hooked. I remember being ANGRY when I finished it. I started stalking her on social media and Google, hoping to hear of a new memoir in the works. SOMETHING! Give me SOMETHING, Hilary! I am still waiting!! I love the idea of this segment because I am always looking for some good book suggestions, and luckily, we seem to share a similar book taste. I was surprised to not see any Chelsea Handler make the list though.